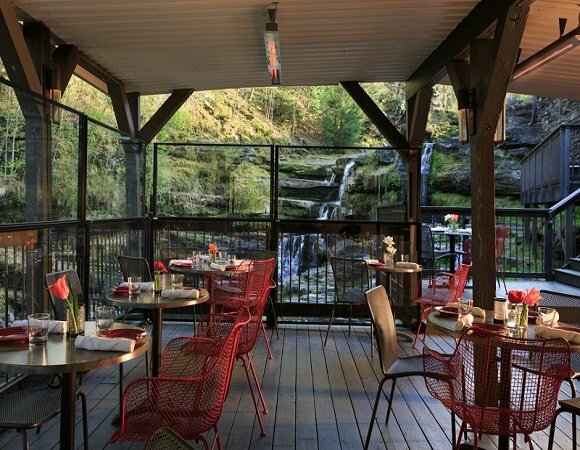 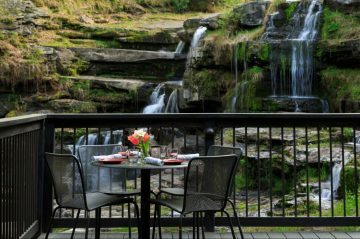 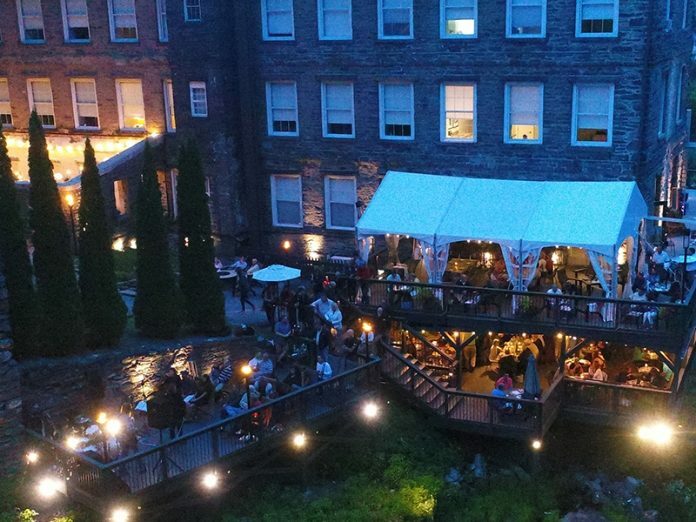 Settled between the flourishing natural beauty of rock ledges and Paupack High Falls, Ledges Hotel is a luxury historic hotel in Hawley PA affording modern conveniences without sparing its rustic charm. 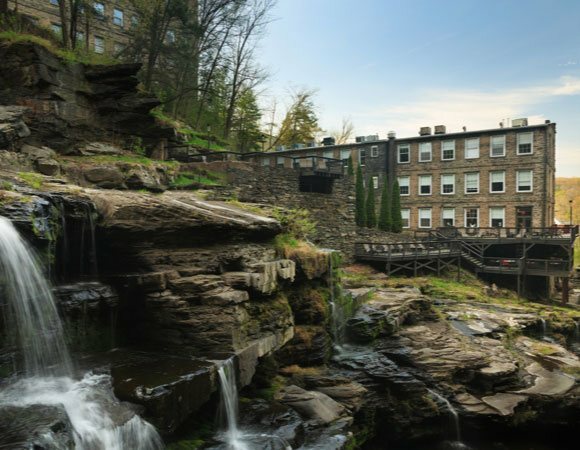 A Pocono hotel built in 1890, this Federal-style structure was originally built for the John S. O’Connor Glass Factory, illustrating the deep culture and heritage of the area’s manufacturing industry. 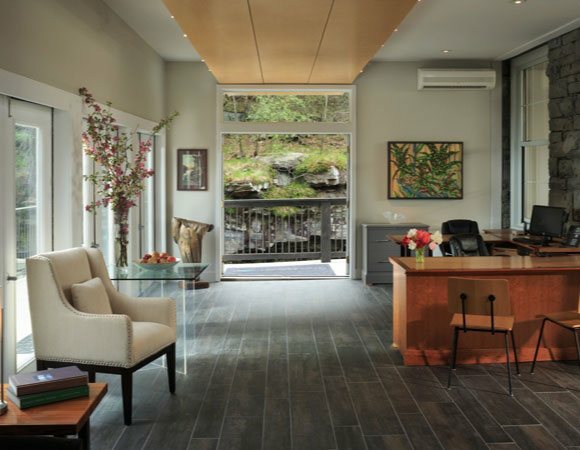 Passionate for maintaining its aesthetic and historic integrity, Ledges Hotel celebrates its legacy to the community, blending its contemporary sustainable design with its vibrant natural landscape. 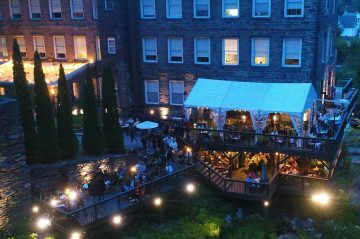 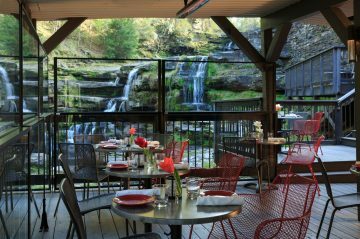 Featuring a variety of guestrooms and suites, refined dining at Glass wine.bar.kitchen, a picturesque backdrop for meetings and events, and exciting recreational activities nearby, this unique hotel in the Pocono Mountains is truly a treasured retreat boasting luxurious amenities and gracious service.